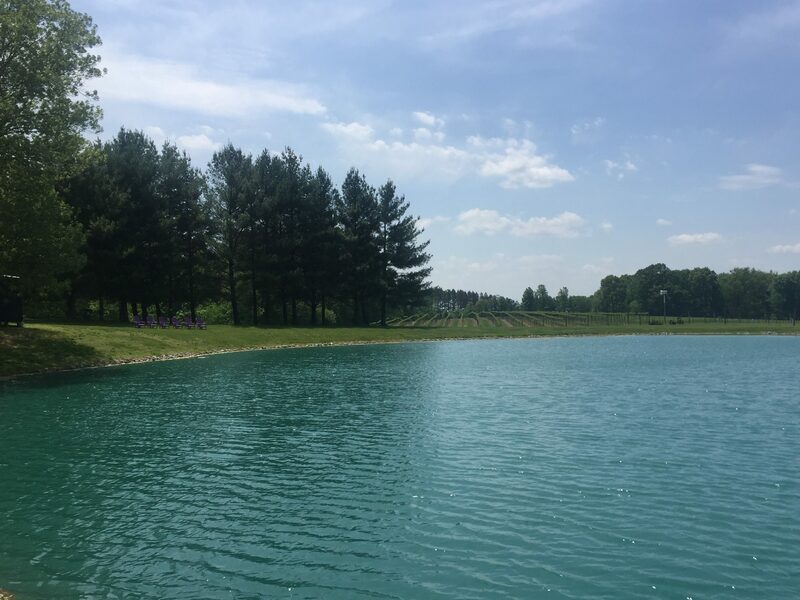 Nestled in the rolling hills of the Shawnee Hills in southern Illinois, we invite you to visit us year-round and taste our award-winning wines. We're open seven days a week for wine tastings. Our cafe menu offers delicious home made food sure to satisfy your hunger! 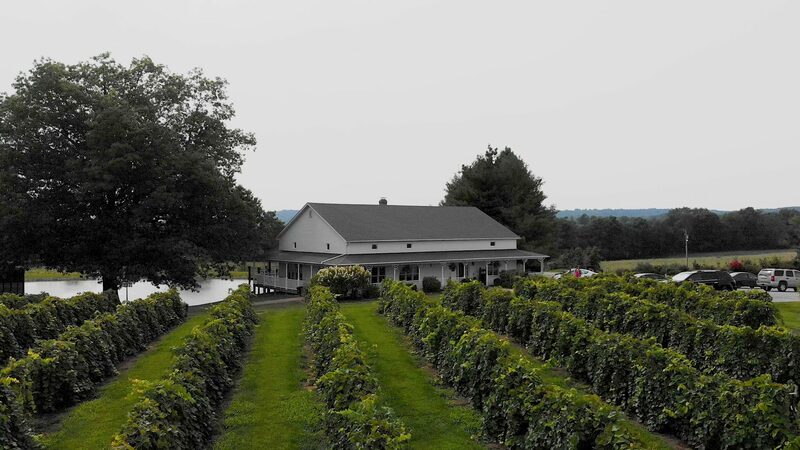 Relax on our deck and see why it's the perfect spot to enjoy a glass or bottle with friends and family and take in the beautiful scenery of our vineyards. Experience live music on the weekends and many fun events that we host throughout the year! On weekends from May-October be sure to visit our outdoor bar. Get all your food and drinks without having to miss a beat of the music. 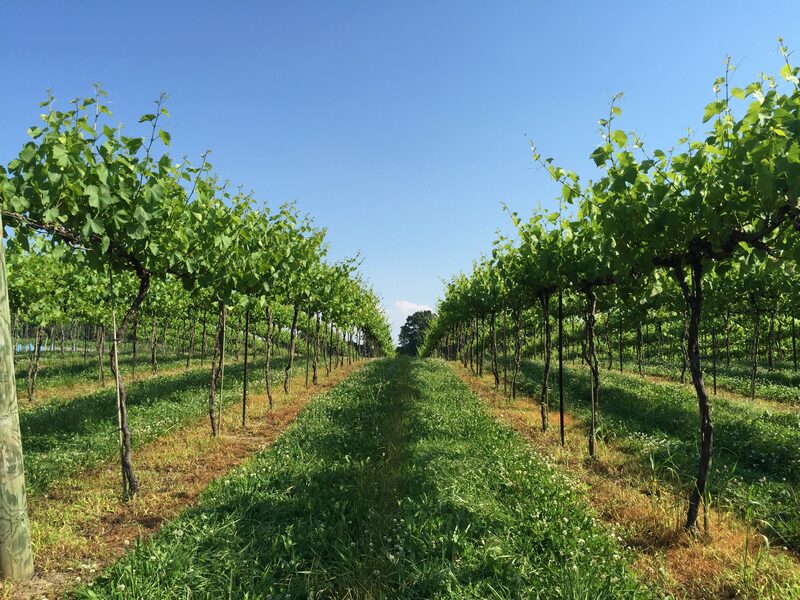 Here at StarView, we know that great wine starts in the vineyard. We're proud of our award-winning wines and look forward to having you try them. With a wide array of wines from dry to sweet, there is sure to be something for every palate. Be sure to grab a bite to eat while enjoying a glass of wine. From snacks & desserts, to sandwiches & salads, our tasty menu will satisfy that craving of yours. 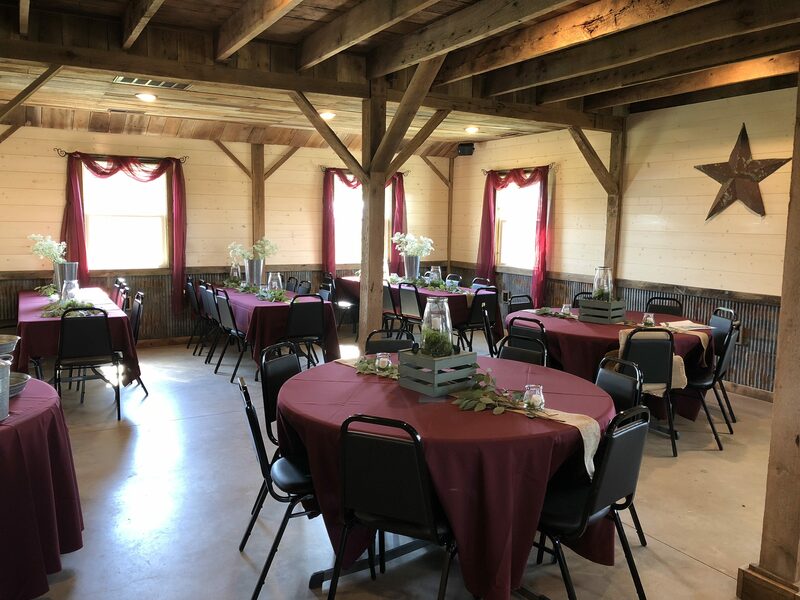 Our restored barn makes a beautiful backdrop for your upcoming special event. We've hosted weddings, bridal & baby showers, birthday parties and more. Contact us today to save your date! April 20 Adult Easter Egg Hunt Why should we let the kiddos have all the fun? Enjoy a wine tasting for $5 and receive a ticket to find an egg in our yard. Everyone will be lucky! Prizes range from gift cards and drinks to wine themed merchandise and candy. May 19 1-4pm Sip and Craft Paint Party 1-3:30pm Enjoy an afternoon creating your own barn quilt ($42). Traditional barn quilts are popular as indoor décor. Two choices of sizes: two small 12”x12” quilts or one 22”x22.” Choice of patterns: Ohio star and Moonlight Star. Choice of stain color (they will be pre-stained): Brown or Gray. If getting the 2 small quilts, you can choose 1 of each pattern, or same pattern for both. Leave your geometry skills at home, we use stencils so that you don’t have to worry about measuring and outlining. Pick your paint colors at the class; bold, soft spring, classic white or black, and create whatever color scheme you want! Pre-registration required with $20 non-refundable deposit. View the quilts on our Facebook event! A paypal link will then be e-mailed to you to use to pay. (you don’t have to have a paypal account yourself to pay). The remaining $22 will be paid at the start of the party. The $20 deposit is nonrefundable. Any cancellation will result in forfeiture of the deposit. Limited number of seats available. Drinks and snacks will be available for purchase.